There's snow in the air, drifting up from Mt Ruapehu. It's freezing, but it doesn't snow. It doesn't snow in Auckland. Has it ever? I just had to look that up, and yes, it did snow once, on July 27, 1939. I would quite like it if it snowed again. It would be an historic occasion. 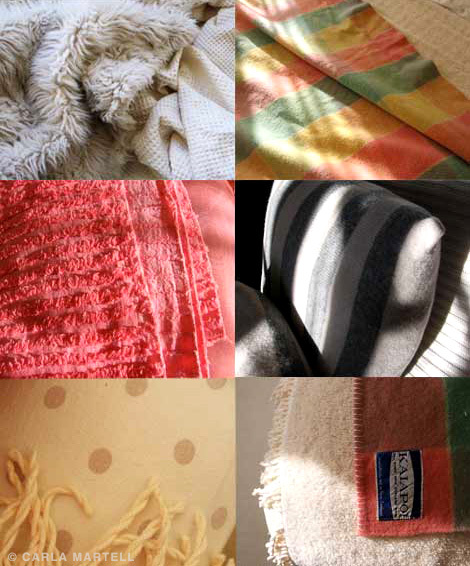 These are the colours that are part of our winter blanket supply. They are also the fabrics that remind me of when I was very little - candlewick, chenille, flannelette, wool. 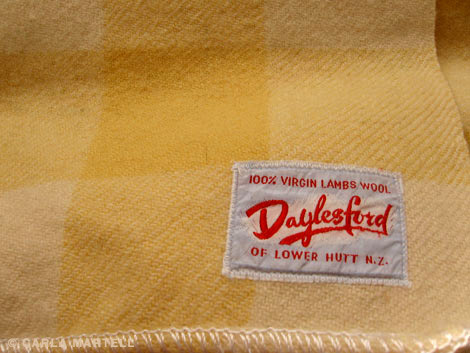 I love the labels on the woolen blankets, which are harder to find these days. They have become a bit trendy and are being made into cushions and soft toys. I have been collecting them for ages and like the sight of them piled up in the hallway cupboard in all their icecream-coloured glory.